Castor base armchair. 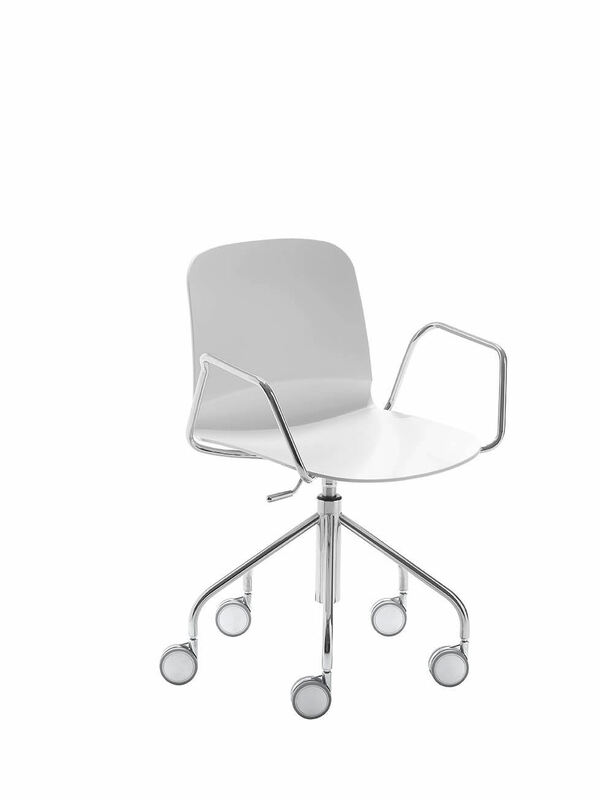 Seat and back in white or colored restylon or upholstered with fabric or leather. Polished chrome frame. Swivel. Height adjustable. 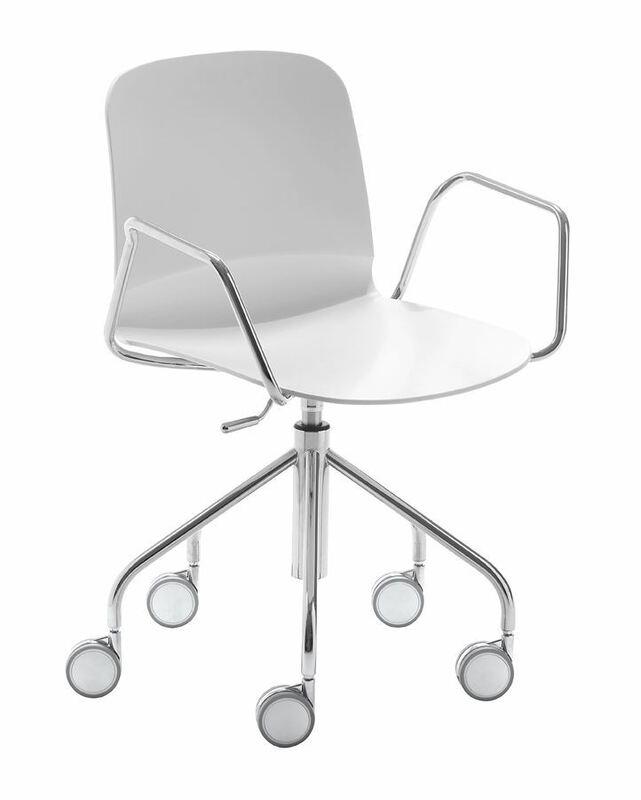 Seat Height: 17¾" - 21¼"
Arm Height: 26½" - 30"